Each Posey Packet® holds a pattern for one of the appliqués from Florence Peto's spectacular Calico Garden Extraordinaire Quilt. The Packets each contain a square of background fabric, the full size picture of the block, sticker paper templates, and most significantly, a tidbit of history about quilt historian Florence Peto. 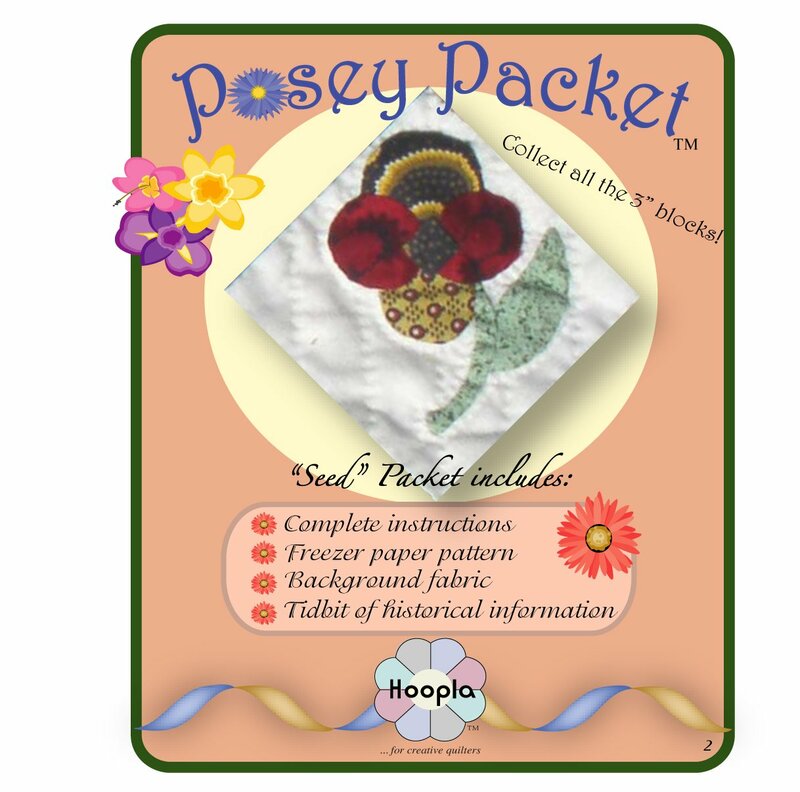 Since the Posey Packet® are numbered, you can collect them in order to read Florence's story or pick the flowers you want for your own version of the Calico Garden. You may wish to join "Florrie's Gardening Club" and receive a binder with additional fun ideas and mini-quilt patterns AND even more history! As part of the Club membership, you will also receive a mini-gardening tote to hold your quilting tools and Posey Packets®! The BEST part - you buy the Posies at a 15% discount and free shipping!